What does working as Software Requirements Analyst entail? Your tasks as a software requirements analyst in ESET will be to elicit, analyze and validate stakeholders’s business needs and specify how to fulfill them. You will be a mediator between internal customer (mainly product management department) and software development team through which requirements flow but your main responsibilities will be to identify problems, risks and grey zones related to specific business requirements. On top of that you will ensure that all requirements together with your outputs will be complete, consistent, clear and unambigious. As a result of your work you will create software requirements specification which will be used by developers and QA testers. Our outputs are usually business requirements and functional specification (especially use cases) written in textual form. If requested we create also functional flows and data models using UML standard. BPMN is used in a special cases. We do not strictly follow mentioned standards and outputs, but we are focused on readability for developers and other stakeholders. We document all our outputs in Confluence. For tracking of tasks we use JIRA. 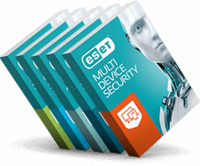 In cooperation with key people in our company you will participate on defining of solutions for ESET products that are used by more than 100 million people worldwide. Your work will never be boring as you will work on a wide range of different tasks – from licensing system to new security features. In addition to flexible working time you will enjoy a number of other benefits - your own cell phone, fruit, gym, teambuilding events. Moreover, ESET will contribute to your travel expenses and will financially support you during important life events such as your wedding or the birth of a child. We care about your future, and thus we will provide you a 3 % contribution to supplementary pension savings. Do you have experience at similar position? Are you familiar with software engineering? Do you have an experience with gathering and elicitation of software requirements? Are you good in communication and soft skills are your strengths? Do you have an experience with writing SW specification? Do you have an analytical thinking? Are you familiar with basic IT security terms like hash, process and encryption? Are you able to write and communicate in English? If you answered yes to all of these questions this job is definitely for you!